For the first time, the ferocious city-states of The Macht now acknowledge a single ruler - Corvus may have united his people in blood, but he now seeks immortality through conquest and legend. His father had been one of the legendary Ten Thousand Macht who marched into the Asurian Empire and fought their way out again. Corvus intends nothing less than the complete overthrow of their ancient enemies. Renowned Northern Irish novelist Paul Kearney draws on both classical history and fantasy as he brings his critically-acclaimed epic of The Macht to a shattering conclusion, as the brilliant Corvus seeks to bring the world under his rule. 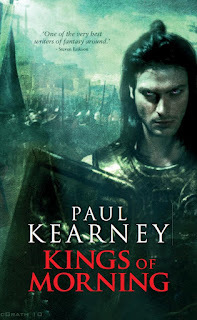 Rich with character and fast-paced, Kings of Morning is the hotly-anticipated conclusion to the Macht Trilogy that will thrill fans of Steven Erikson and George R. R. Martin. 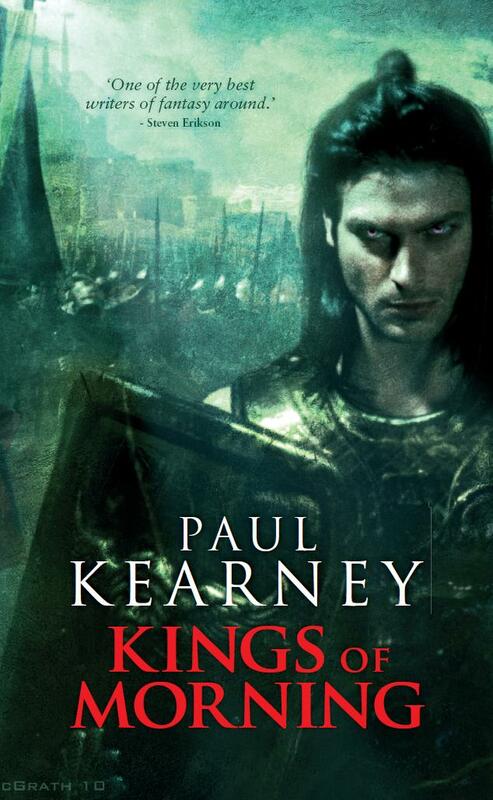 Paul Kearney is the critically-acclaimed author of The Monarchies of God and the Sea Beggars series. He has been long-listed for the British Fantasy Award.